"Kith x Russell Athletic Varsity Logo Hoodie: This cropped and boxy fit hoodie features a 480 GSM cotton fleece fabric executed with a garment-dye wash. Aside from the other hoodies this model takes on a chenille and embroidered co-branded chest logo which ensures added style. The ribbed cuffs and waistband provide classic hoodie elements as well as the kangaroo pockets, two-piece hood, and the drawstrings pulls. Other elements include the Russell jock tag on the side panel and the Kith Russell flag label at the bottom hem. $150 USD." I think the crew is a tad longer than the hoodie with the tee being the longest for a layered look. pmtotheam and drannor like this. Kith x Russell Athletic Varsity Logo Crewneck: This crewneck features Russell's 480 GSM cotton fleece garment-dyed fabric. The chenille Kith logo and embroidered Russell logo on the chest provide added style as well as the - Russell jock tag at the side panel, Kith Russell flag label at the bottom hem, and lastly, the ribbed cuffs and hem. $135 USD. That is under the Miami crewneck. Nothing about cropped. Aren't hoodies and crews normally cropped to an extent? I'm on the fence hard right now. Yeah its hard to tell. 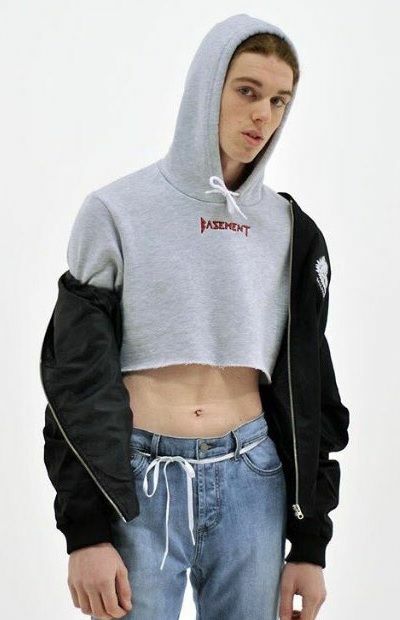 They may be cropped but not as much as the hoodie? Had to take daughter to hospital this morning (false alarm, wore overreacted) and completely lost track of time. Oh well, may track down the Miani tees at some point. Grabbed reverse SOHO Crew neck in black. Miami and LA stuff flew. Oh well - onto the next best thing ever with KITH. Russell Atheltic pieces came in. Definitely fit cropped. cool...but rude, sdsualum, bbombers85 and 2 others like this. dblplay1212 and fahqu001 like this. lol i dont think they are cropped? I think dudes in picture just folded up the ribbed portion, to show layering of the tee no? I could be wrong. I posted the description a few posts back that state it’s a cropped fit. As in like 2 inches shorter in length than normal. Anyone know why Kith would be charging Maryland sales tax now? As nice as that would be, since I would never even attempt to line up, I think I’d rather just get everything 6% cheaper. cool...but rude, bbombers85, thecheef and 1 other person like this. Ended up grabbing LA tee and Miami crew off stockx for slightly above retail to go along with retail Soho crew. On to the next one. Does anyone have chest width (not length) measurements on this Russell collab? Trying to figure out my size in these since it’s a boxy fit. Any on body pics of these? Not seeing any on the interwebs. did all the kith x versace stuff sell out? last i checked, the burgundy puffer jacket was totally in stock...and some other items. and then they were all gone. Probably shifted stock to stores and/or saving it for future Kithmas's. Ah my apologies. Thought you meant cropped like no ribbed portion. My mistake. Got the soho crew in and it’s not cropped. It’s just not as long as Kith crews usually are. I like it - more wearable on an everyday basis. A lot of their other stuff goes down to my thighs. This is perfect. What size did you buy? Could you tell me the chest width, usually measured across under the arm pits? Thanks!